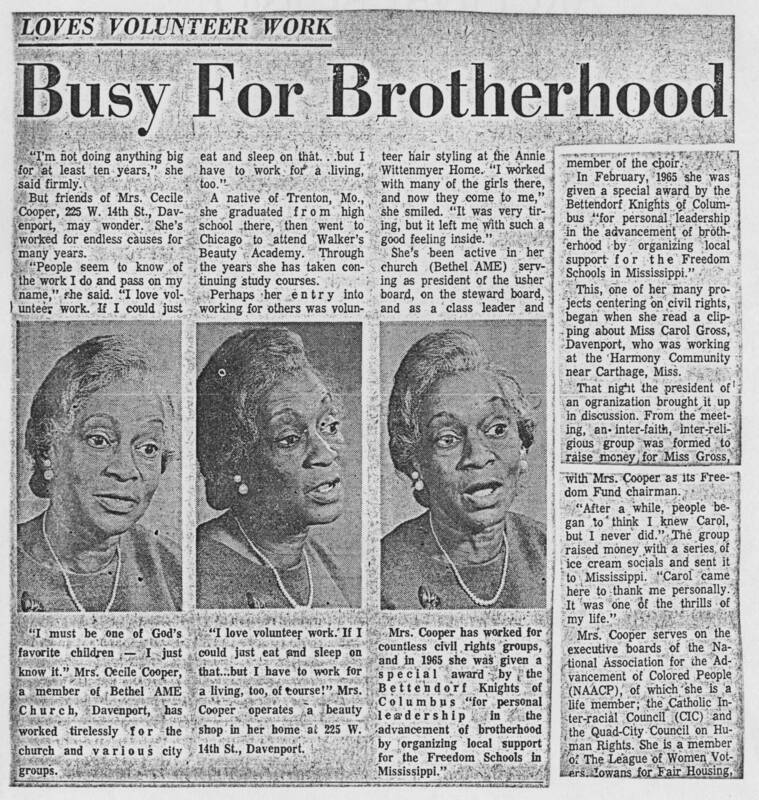 DIY History | Transcribe | Social Justice | Cecile Cooper newspaper clippings, 1964-1998 | Article: ""Busy For Brotherhood""
The article talks about Mrs Cecile Cooper, who according to her friends has worked for endless causes over the years. Her volunteer work started with hair styling at Annie Wittenmeyer Home. She has held many positions in the church including president of the usher board, on the steward board, as a class leader and member of the choir. She received a special award by the Bettendorf Knights of Columbus for personal leadership in the advancement of brotherhood by organizing local support for freedom schools in Mississippi. She was also the chairman of the freedom fund which was an inter-faith , inter-religious group formed to raise money. She herself says that she loves volunteer work and could eat and sleep on that.